June 30, 2013  The largest demonstrations so far against the Egyptian president's year-old government are being held. He says he won't give in to demands that he step down or call new elections. Some protesters, though, think Morsi will suffer the same fate as toppled President Hosni Mubarak. 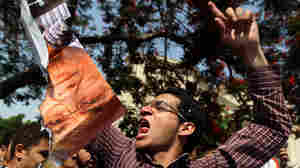 April 13, 2013  A Cairo courtroom burst into chants of "The people want the execution of the president" on Saturday after the judge overseeing former Egyptian President Hosni Mubarak's retrial withdrew from the case on opening day. January 13, 2013  The decision to retry the strongman who was serving a life sentence for failing to stop the killing of protesters came as no surprise. 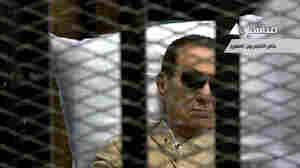 Mubarak and his security chief will be tried again on criminal charges related to those deaths. 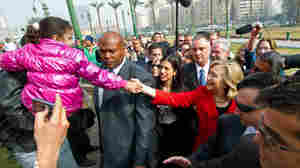 The news was welcomed by both Mubarak loyalists and his most ardent opponents. 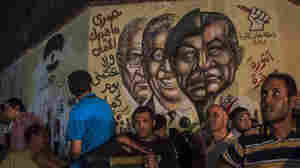 Will Mubarak News Further Delay Democracy? June 20, 2012  Some Egyptians fear the military is going to further "bamboozle the democratic process," NPR's Soraya Sarhaddi Nelson reports. The concern: Generals will cite Mubarak's declining health — or death if that happens — as a reason to put off reforms. June 14, 2012  Parliament had passed a law barring former Mubarak aides from seeking office. Now the nation's highest court has rejected that. And it has taken aim at the parliament. Protests are expected. 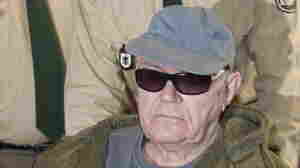 June 11, 2012  A spokesman for Egypt's interior ministry tells CNN that the former president is in a "full coma." The BBC, however, says it's been told Mubarak is not in a coma. Rumors about the severity of his problems continue to swirl. 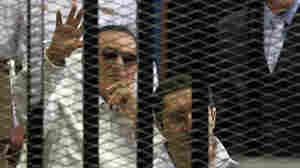 June 2, 2012  Former President Hosni Mubarak was convicted on Saturday in connection with the killing of protesters during last year's uprising. 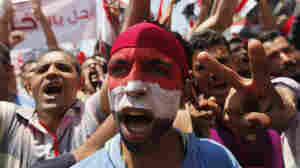 The protests pushed Mubarak to resign after nearly 30 years in power. March 5, 2012  It was more than 30 years before Egyptian President Hosni Mubarak lost his grip on power. It took less than a week for an "ultra-conservative Islamist member" of the post-Mubarak parliament to be forced to resign for lying about his surgery. 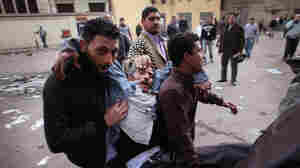 February 22, 2012  If he's found guilty of ordering the deaths of protesters last year, Egypt's former president could be put to death.